We've found the Colorado beats the top-selling Tacoma in ride, handling, packaging, fit and finish, interior space and materials, connectivity, driving position, and bed features. 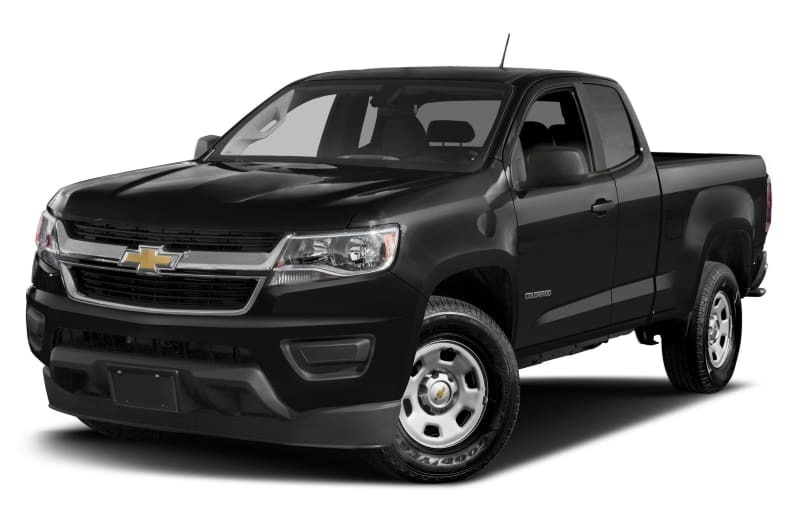 Colorado ZR2 is a hard-core off-road truck with its own bodywork designed to improve approach and departure angles. It rides on a big wide track, lifted suspension, and hefty 31-inch Goodyear all-terrain tires. It has a mean and adventuresome look, ready for the Baja, with locking differentials, front and rear. There's a choice between a superb diesel or a wonderful V6. The Colorado ZR2 feels highly capable to us, and it's way more comfortable than the Tacoma TRD. It's just the thing for traversing a boulder field. The standard Colorado engine is an eminently usable 2.5-liter four cylinder making 200 horsepower with a sharp 6-speed automatic or 6-speed manual transmission. It's winning powertrain either way. Also available is a 2.8-liter turbodiesel four-cylinder that makes 369 pound-feet of torque, with 181 horsepower at the top end. It's the best choice for towing, rated to pull up to 7700 pounds, though we'd opt for a Silverado long before approaching that kind of weight. The diesel also works well for rugged terrain. The diesel is rated by the EPA at 30 miles per gallon Highway with two-wheel drive. We found it smooth, very refined, and powerful, emitting a wonderful sound. Buyers can choose among cab and bed configurations, including the standard extended cab with two small rear doors, a very small bench seat, and six-foot bed; or the four-door crew cab with either a five- or six-foot bed (or no bed at all, for commercial sales). There's no regular cab any more.